Rep-Hair® Follicle Strengthening System - Organic Colour Systems Ltd.
Shortlisted in the Pure Beauty Global Awards 2018 for Best Special Innovation and in the Hair Awards 2018 too. 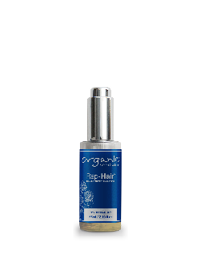 Rep-Hair® Follicle Strengthening System is a natural and scientifically formulated daily scalp and hair care regime, designed to improve the strength and condition of the scalp and hair, providing an optimum follicular environment for hair growth. 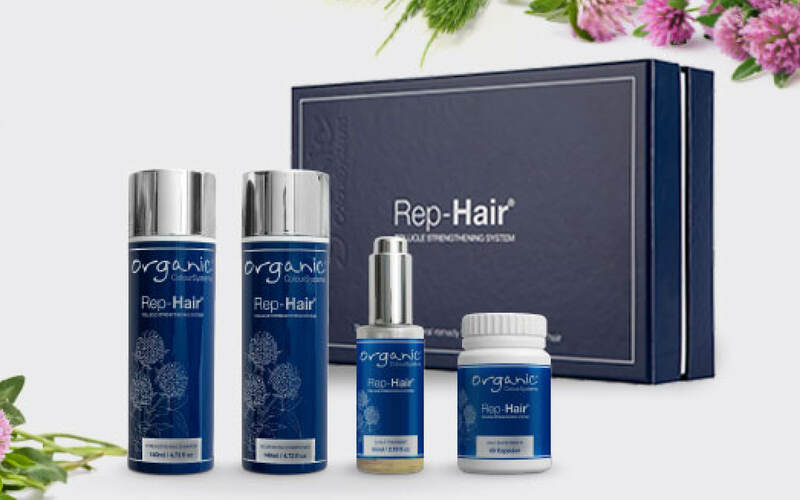 Rep-Hair® combines natural and organic extracts which have been carefully selected for their nourishing, strengthening, conditioning and cleansing properties, as well as their ability to protect the scalp and reduce inflammation of the hair follicle. This highly effective and natural system harnesses the unique benefits of Capixyl™, an elite hair care complex which has been proven to reduce hair loss and stimulate natural hair growth. If used continuously as directed, noticeable results should be seen within 4 – 16 weeks. 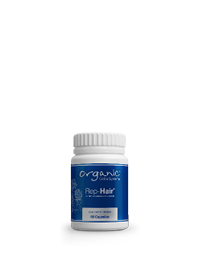 The key active ingredient in the Rep-Hair® Follicle Strengthening System, Capixyl™, has been scientifically proven to prevent and stop the hair loss process and stimulate hair growth. Watch our video to understand the science and see the benefits of Rep-Hair® yourself. The average scalp contains 100,000 hair follicles. Normal hair loss is considered to be 100 hairs per day. Female pattern hair loss usually begins at around the age of 30 but can be earlier and it generally becomes noticeable around the age of 40. By the age of 50, 50% of women will experience some degree of hair thinning. In women, the hair becomes thinner all over the head, and the hairline does not recede. Female Pattern Hair Loss in women rarely leads to total baldness. Common attributes in cases of Female Pattern Hair Loss show an increase in a hormone called dihydrotestosterone (DHT), inflammation of the hair follicle, a decrease in the number of hair follicles and size of follicle in the scalp. Hormonal changes or imbalances (childbirth, menopause). Diseases like diabetes or lupus, or medications. Over styling and excessive brushing, dye, bleaching. Our breakthrough product, Rep-Hair® Follicle Strengthening System, is a four step regime comprising of a Strengthening Shampoo and Nourishing Conditioner for use every other day and a Scalp Treatment and natural, oral Supplement, both to be administered daily. Shampoo and condition your hair every other day with Rep-Hair®Strengthening Shampoo and Nourishing Conditioner. Each day before bed apply Rep-Hair® Scalp Treatment to the areas you wish to treat. Gently massage in and leave. Finally, take one Rep-Hair® natural Supplement daily with water. 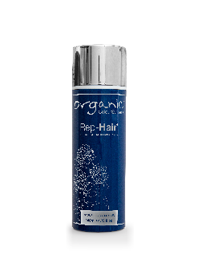 Rep-Hair® uses Capixyl™, a unique active complex designed to prevent and stop the hair loss process and stimulate hair growth. Capixyl™ blends amino acids with extracts of Red Clover flowers (Trifolium Pratense). Found throughout central and northern Europe and Asia, Red Clover is traditionally used to treat asthma, cancer, gout, and various inflammatory skin disorders like eczema and psoriasis. Research shows that Capixyl™ reduces inflammation which is a contributing factor in hair loss and may also limit free radical damage to the skin and scalp. It takes direct action on the DHT hormone which is responsible for shortening the hairs’ natural growth cycle. It also aids better anchoring of the hair and promotes an increase in follicle size. In laboratory tests, when used at optimum levels of 5%, Capixyl™ was shown to perform 3 times more effectively than Minoxidil. 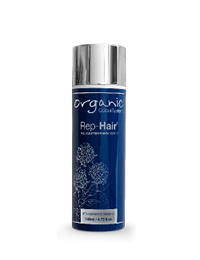 Rep-Hair® uses the optimum and recommended levels of Capixyl™ for effective results.